With the metal badge engraved with your choice of logo, this notebook folder will become an outstanding promotional gift item. Tough and durable but with the feel and look of leather, the koeskin folder can also be printed for further corporate branding potential. 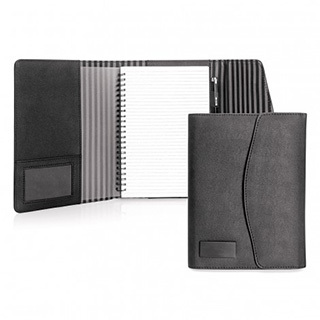 Refillable with standard A6 notebook. Pen not included.